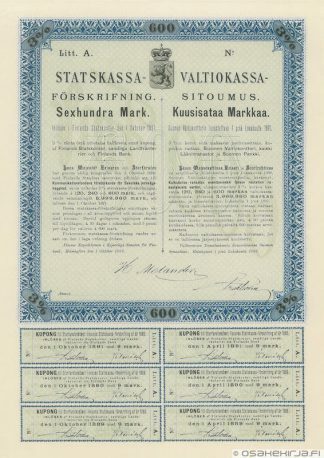 Helsinki 01.10.1888 railway loan 600 FIM 3 % blanco This loan was used to build a railway between Kouvola and Kuopio. 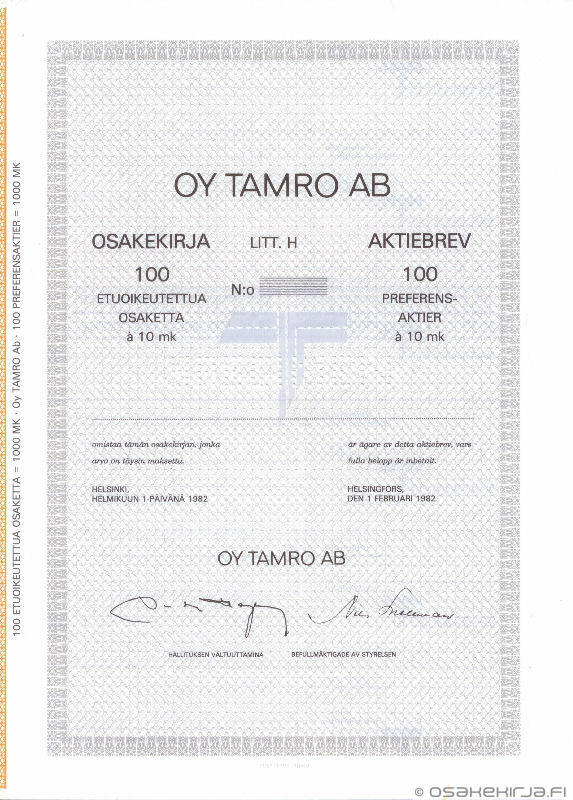 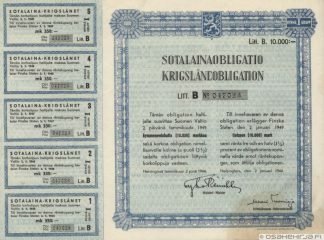 Auction results: 23.10.2011 1800 EUR. 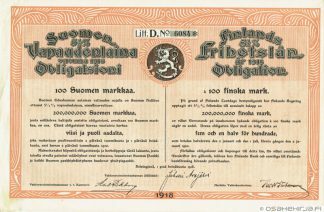 Helsinki Helsingfors 01.04.1944 war loan obl 10000 FIM 3,5 % Auction results: 18.9.2016 52 EUR, 25.11.2018 10 EUR. 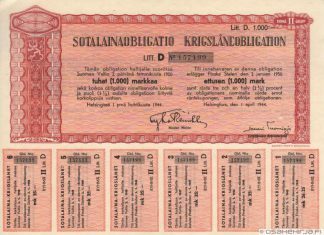 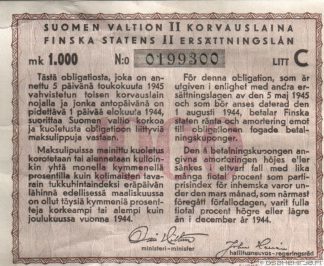 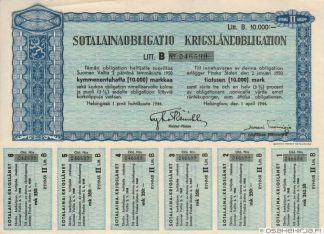 Helsinki Helsingfors 02.01.1944 war loan 10000 FIM Finska Staten krigslåneobligation Auction results: 27.11.2016 16 EUR, 25.11.2018 16 EUR.